For me, a car without music is torture. My parents got a really great deal on the car they bought for me. The only - well, there was not just one - problem was that the CD player didn’t work. The radio worked well, however. But sometimes, those songs on the air start to get old. I longed to listen to my custom playlist when every song was good and I never felt the urge to skip. It was either CDs or MP3s and I could not listen to either one. I did try a couple of solutions though. Have you ever heard of an FM transmitter. Basically, it transmits a week radio signal on an unoccupied frequency receivable by devices in the vicinity. 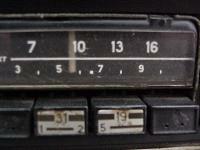 In effect, you would listen to your MP3 or CD player through the radio. Let me tell you, that did not work! Never buy a radio transmitter! It will only cause you grief and an inconvenient return (if the merchant accepts returns). After two bad relationships with FM transmitters, I decided to do something more drastic … replacement! I found my dream audio receiver! It was a CD player and an AM/FM radio receiver with an aux input port! What more could I ask for? The only thing it lacked was internal storage or a USB port, both for MP3s. This used audio receiver cost only a mere $30 with shipping on eBay! The only problem was that I had no idea how to install a car audio receiver, let alone take the existing clunker out! I didn’t even know how to check the level of the engine oil! I looked online and called around town for price quotes on professional installation but they were too expensive for my jobless budget. What if I was able to install it on my own? I looked online for instructions and found the perfect site. The Install Doctor is one of the most comprehensive site available for people who want to augment their auto entertainment scheme. It hosts specific installation instructions for nearly every car on the road! I was surprised that it even included instructions for my old 1993 Toyota Camry! Not only does it talk about audio receivers, The Install Doctor also assists you with other aspects of your auto entertainment system like speaker and antenna replacement! With that, I carefully went over the instructions and performed my first automobile operation. In the end, I found out that installing an audio receiver was not that much more difficult than replacing a hard drive on the computer. If you regularly tinker with your computer system, you should be able to do this. Don’t be scared to try. Just take the leap! This entry was posted on Wednesday, April 4th, 2007 at 7:16 pm	and is filed under Miscellaneous. You can follow any responses to this entry through the RSS 2.0 feed. You can leave a response, or trackback from your own site. The Install Doctor sometimes gives you wrong info. I’m trying to see if I should purchase a car cd player for my 1996 Nissan Sentra but it’s telling me that a Nissan Stereo Connector is required. I went to the site you gave me and found the .pdf version of how to install it on my car. Might go out and buy the car stereo tomorrow but now I’m scared that if I buy it, it won’t have the required parts. I’m not car savvy either so no clue what to do.